I did my grocery shopping for Thanksgiving today. That’s always fun. Not! I do not like nor enjoy going to the grocery store. I’ve always said if I ever win the lottery I will hire someone to go grocery shopping for me. Sadly I do love Thanksgiving, which is of course the big momma of grocery store visits. Double-sided lists are not uncommon and forgetting one important item is to be expected. I have friends who actually enjoy going to a supermarket and I just shake my head. They love going to Whole Foods, Central Market, Sprouts, even Costco. Me? I run in and run out as fast as I can from either Randall’s or HEB. 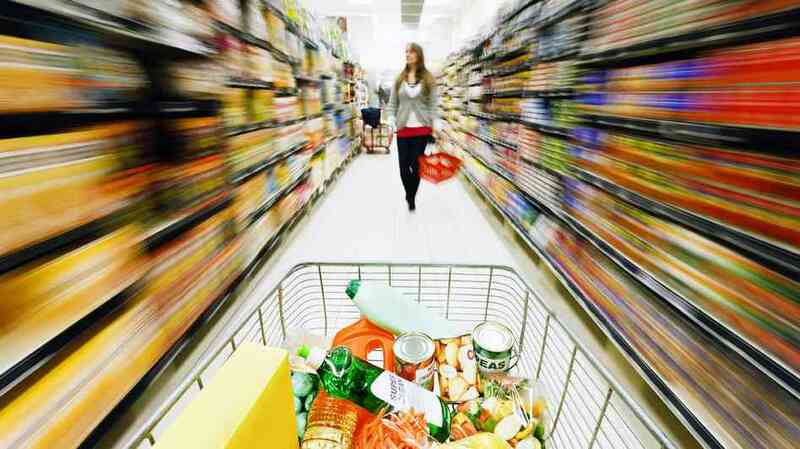 Grocery stores are big business even though the average supermarket makes about 1.5 percent net profit a year. They also hold their very own little “secrets” as I recently read about in “Readers Digest.” Here then are some “Secrets your grocer won’t tell you” that I feel are Thanksgiving timely. Ever notice that when you walk in the door you are often greeted by the smell of freshly-baked bread or yummy rotisserie chicken? It’s all planned that way as grocers know certain smells get your salivary glands working. They say never go grocery shopping on an empty stomach but no one ever mentioned not to smell! If it’s not the deli or bakery that gets your attention right away it’s often the produce department. Why? Because all those pretty colors put you in a good mood as does the idea that you’re buying healthy. And those misters on the veggies? They are cleaning the food and making them look fresh, right? Well, yes and no. 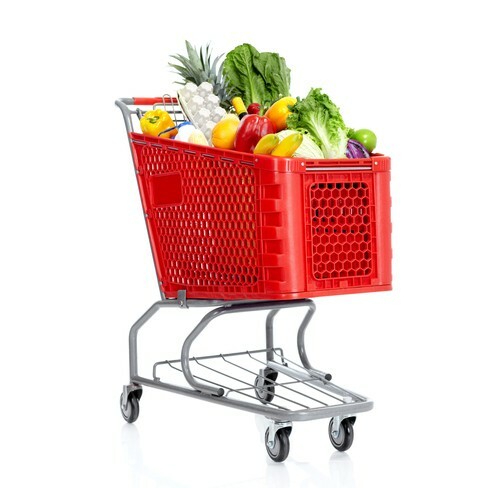 Keep in mind the water also adds to an item’s weight so you might opt for dryer veggies that are sold by weight. Shopping carts are getting bigger and are almost never cleaned. Yes, many stores offer the smaller ones, but in general the ones we all go to are double the size they once were and could be why customers have reportedly bought 19 percent more food than they have in the past. Studies show that consumers also buy more when a store is crowded so you may want to do your grocery shopping on a Monday or Tuesday, historically the least crowded days. Worst days? Weekends of course. Grocers know that 95 percent of shoppers have no idea what items on the shelves cost with the exception of milk, bread, bananas, and eggs so we really don’t know when we’re getting a good deal and when we’re not. We all fall for the “sale” and “buy two get one free” deals. Music matters in a market. Stores generally play two types of music overhead: either upbeat “sing-along” songs that put shoppers in a nostalgic and good place or music with a rhythm slower than the average heartbeat. The latter has proven to result in shoppers spending more time in the store and buying 29 percent more than they planned. Most people think milk is almost always located at the back of a store so you have to walk through aisles to get to it, but it’s really because milk needs to be refrigerated right away. Fridges are located at the back so trucks can quickly unload milk deliveries. Speaking of milk, shop around. Pharmacies and convenience stores often have lower milk prices than a grocery store. Watch what you grab. Sale signs are sometimes placed between products. For example, a 50 percent off 10-ounce package of ham will be placed next to the full-priced 16-ounce package. Make sure you grab the right one! Buying in bulk is not always cheaper, especially in the produce department where individual peppers and avocadoes are almost always less expensive than bags of them. Volume is important in specials. For example, a “10 or $10” promotion is very effective. 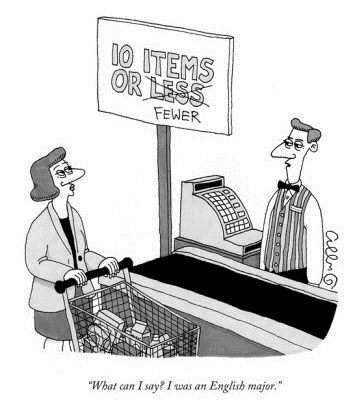 Shoppers will buy 10 of something on sale even if buying only five would be less expensive. Do the math before doing the buying. Speaking of math, “buy one, get the second one 50 percent off” is really only 25 percent off each item. Better deals might be had. Just because something is advertised in a grocery store flyer doesn’t mean it’s on sale. Often times those pretty pictures are full-price items grouped next to some that are on sale. If you see the words “previously frozen” on seafood at the meat and seafood counter, know that those same products are probably found in the frozen food case for up to 40 percent less. Brown bags make bread go stale faster. When you get home, put all loaves in airtight plastic bags right away. Meats have many markings, but what’s perhaps most important is the USDA quality grade. “Prime” is best, followed by “Choice,” “Select,” and “Standard.” Also interesting is that every T-bone has a small filet mignon on the bone and a New York strip on the opposite side. Sometimes buying a T-bone is your best bet. Lastly, know that store employees are there to help you. A butcher can grind up a sirloin roast for you, tenderize a steak, or season any piece of meat. Bakers will often slice a loaf of bread for you and deli counters have a wide variety of items for your choosing. Even floral departments will often give you free greenery to go with loose flowers. Competition is tough and they certainly all want to please you, the customer. Happy shopping and Happy Thanksgiving!